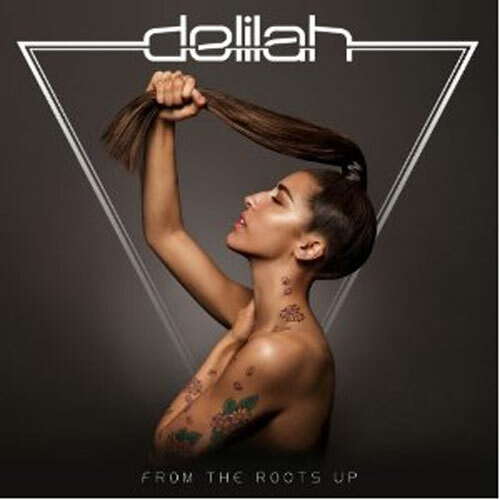 Diva Devotee: Review: Delilah "Inside My Love"
Review: Delilah "Inside My Love"
Somebody I'm always excited to hear new music from is Paris-born, London-raised, singer Delilah. When I'd read she had covered Minnie Ripperton's classic Inside My Love, I knew it was going to be a goody. This is a singer-songwriter with previous form when handling covers- having done a stellar job incorporating Chaka Khan's Ain't Nobody, into her song Go [Review]. So I suspected Delilah wasn't going to be doing a simple cut-and-paste job with the Minnie Ripperton original, or using it to show off her range (as I suspect the reason is for many when choosing to cover Minnie). And I wasn't wrong. Delilah drags the warm and intimate original down into her realm: the dark, seedy, depths of ambient trip-hop. It works really well with the song, giving it a modern rebirth, while establishing from the outset that this is a cover that is done on Delilah's terms- so expect no whistle notes (the highest she hits is a C#6). Inside My Love is another cool-as-a-cucumber release from the 21-year-old, and it continues to raise my anticipation for her debut albums, From the Roots Up, which is released on July the 30th. Thanks for introducing me to this artist with this post Diva! I love the trip-hop sound, as trip-hop is one of my favorite subgenres in music. I really liked her rendition of Minnie's song, and her voice while it does remind me a bit of Adele's here and there, is pleasant to listen to. Hmm, I wonder if that Opie person or any other Madonna fan is going to accuse this girl of stealing the ponytail Madonna invented. This Opie person doesn't concern herself with tiny matters like that. Only with people who steal entire career paths and more importantly every theme from the same artist. Any news yet when Gaga is doing that line dancing video? If your spoiling for a fight dude, as you see I can usually oblige at the drop of a hat. And btw how many times do I have to repeat I am not a Madonna "fan". But I know you prefer to pretend I am which is probably why you drag my name into a thread I haven't commented in and not the one reviewing the Madonna video and where I state I didn't even get very far into it and won't be revisiting said video. Anyway, due to my being quite busy with real life...I didn't have a change yet to listen to this singer. But I have now and unlike your Gaga lady wannabee "artist", I see this Delilah IS capable of being inspired by rather than imitate. I would advise you to listen carefully to both the original by Minnie and Delilah's version and learn that difference as well and next time Gaga is so "originally" interacting with her public...maybe you can be the one teaching her the difference too. Of course...that is presuming she actually cares. I dare say she doesn't care at all since her aim is not to be an artist but rather to be famous.."a superstar". Are you familiar with Faithless DD? There album Sunday 8 pm is one of my all time favorite albums. Crossed wires I think? I meant what Delilah did with the Minnie Ripperton song. It's not the mention of Gaga ( which he didn't even actually do. He just strongly implied) which made me react. It's the fact that he mentioned me even though I had not commented in this thread. Plus he coupled it with a falsehood. The mere mention of Gaga by you two I already decided to ignore unless you direct the comment at me. She reminds me of Sade with her voice sometimes but her approach to music is almost like an urban Björk, yet it absolutely fresh and unique at the same time. Her and Emeli Sandé are killing right now it my book. I got her album in the post the other day and I freaking love it. Its nice to have a new and refreshing artist that has not sold their soul to the demonic sounds of Guetta and dance crew! Everything about this album shines. The sound, vocal and exquisite production! Defo an A+ from me!